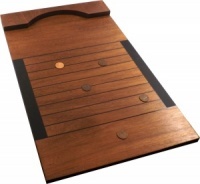 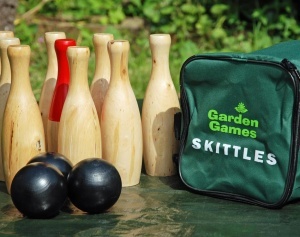 The aim of this traditional bowling game is to knock all the skittles down with as few attempts as possible. 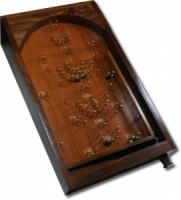 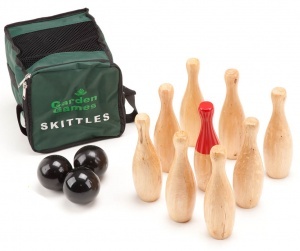 These hardwood Skittles are beautifully polished to give a quality finish. 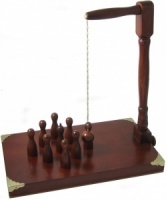 Test your accuracy to the limit and try to knock all the pins down in one. 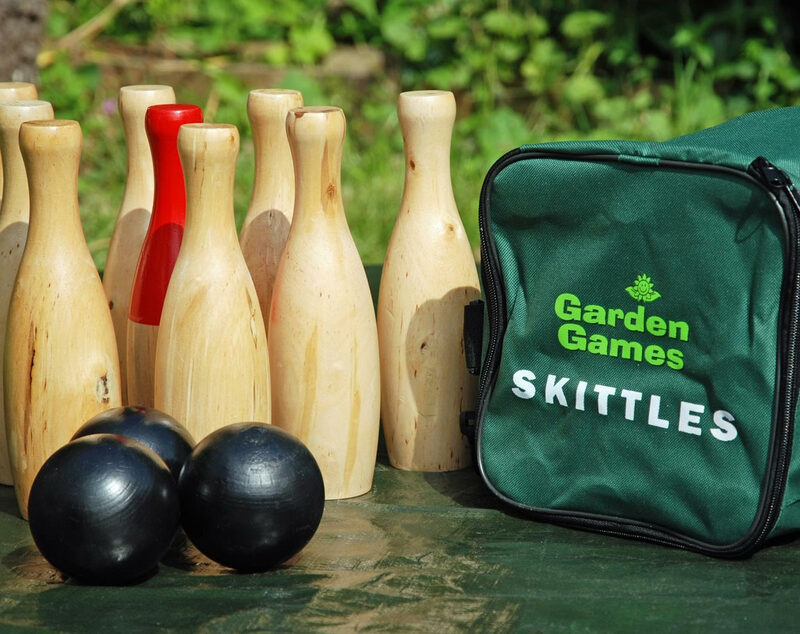 The set contains 9 x 23cm (9inch) skittles, 2 x 8cm (3 1/4 inch) regulation balls, instructions and rules and is packed in a smart canvas bag with handle.